Yesterday it was announced that the original cast of All That is back together for a special reunion marathon for Nickelodeon’s The Splat channel and all us 90’s kids are like OMG and YAS YAS YAS. So much fun!! I’m having such a great time with these gentlemen! So that got us digging around the Internet as we wondered what the OG All That cast has even been up to all these years since the show ended. 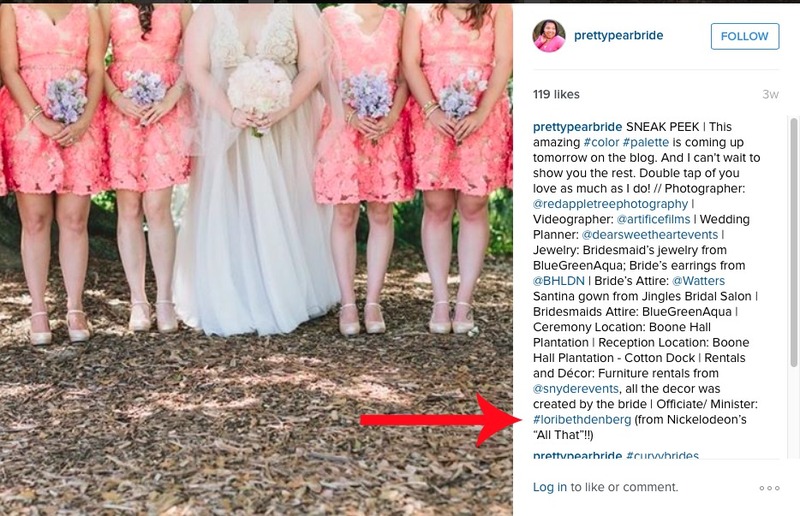 That’s when we discovered that Lori Beth Denberg, star of memorable All That sketch “Vital Information,” is in the wedding business! And by wedding business, we mean, SHE MARRIES PEOPLE! 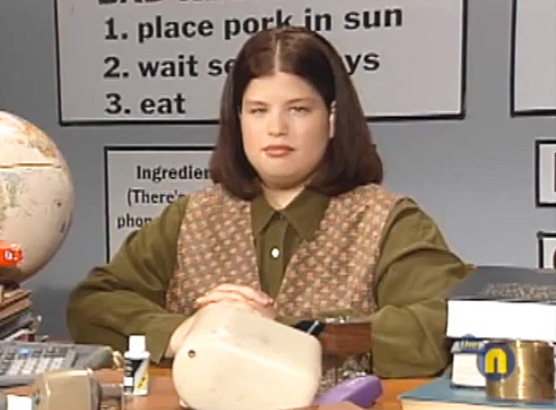 Lori Beth Denberg, comedy idol of your youth, can marry you because she’s a wedding officiant! She even offered to marry Perez Hilton?! Hey @PerezHilton now that Prop 8 has been overturned I’ll officiate your wedding any day, the tough part would be getting Kel to cater! Oh wait a second, you CAN email her HERE if you want a little Nickelodeon nostalgia on your wedding day! Lori Beth explains on her website that she got started as a wedding officiant as a joke, you know, as you do. “It started as a joke when a friend I’ve had since the first grade decided to get married. They weren’t very religious and couldn’t decide on an officiant, so I jokingly volunteered,” she explains. Lori Beth Denberg, comedy and nostalgia legend is now an epic wedding officiate. Dope.